Samsung is now become the most promising company in term of Smartphone's and Tablet computing development. Samsung has recently launched its new family member of its Samsung Galaxy Tab known as Samsung Galaxy Tab 10.1 device with lots of powerful feature’s. 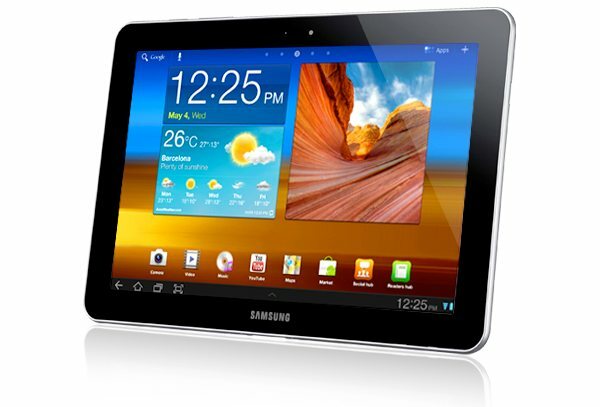 The Samsung Galaxy Tab 10.1, in its current form, was born out of a response to Apple's sleek and thin iPad tablet. The original Galaxy Tab 10.1, which hadn't reached market yet, just couldn't compete, so Samsung went back the drawing board and turned out this beauty of a tablet in record time. And this one can compete. The original 7-inch Samsung Galaxy Tab was the only major iPad competitor to be released in 2010, but it was hampered by the inclusion of Android 2.2 very much an OS designed for mobile phones rather than tablets. However with the release of the tablet-tastic Android 3.1 this year, the iPad 2 is about to come up against some serious competition. Samsung Galaxy Tab 10.1 features a large, wide-screen display that looks sharp and bright, and it rests inside a body that is incredibly thin and light. This 10-inch tablet weighs less than a number of smaller tablets on the market, yet it still packs a dual-core 1GHz processor and the latest version of Android 3.1 Honeycomb. There still aren't very many tablet-specific Android apps, and those that exist are not that easy to find in the Android Market, but the Galaxy Tab 10.1 is still a desirable piece of kit. Samsung Galaxy Tab 10.1 is the same as the device launched at Google I/O, but there's two key differences that we'll focus on here: the hardware and design, and the thoroughly different Software Version (v3.1 here versus v3.0 before). 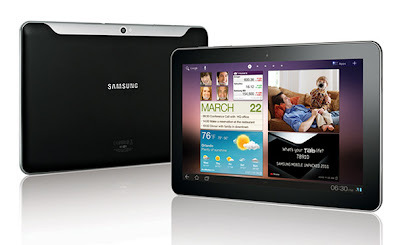 As is the case with all 10-inch tablets, Samsung's Galaxy Tab 10.1 is a large device. Its face measures 256.6mm x 172.9mm (10.1in x 6.8in), but the entire tablet is only 8.6mm (.3in) thick. Pair that with a low 565g (19.9oz) weight and you have a device that is much easier to wield than one might expect. On top of that, the Tab's build quality is really good. The glossy back, which is white and silver on our unit, feels good on the finger tips, and all of the parts fit tightly together. The Tab also feels very strong in spite of its low profile design. There are no buttons to be found on the front of the Galaxy Tab 10.1, only the 10.1-inch, 1280 x 800 pixel displays and the forward-facing 2 megapixel camera. When held horizontally, the volume and power controls are found on the left end of the top edge of the tablet, while the 3.5mm headphone jack is a bit over to the right. A stereo speaker port can be found on the left and right edges, one each, and the proprietary charging/data port can be found on the bottom edge. The interior is home to an NVIDIA Tegra 2 dual-core 1GHz processor and 16GB (or 32GB) of internal storage. I was testing the Wi-Fi only model, but 3G-capable models are expected soon. The primary differentiator between the Tab 10.1 LE and the far-less-limited Tab 10.1: 0.1. Android 3.1 brings along widgets that can be resized vertically and horizontally, access to the newfangled Movies section of the Android Market, improved overall performance and support for a host of USB accessories. 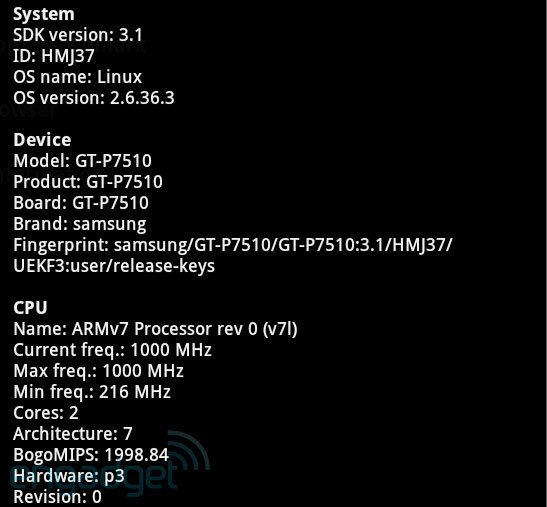 Unfortunately, the Movies department is only open for Android 3.1 tablets with 3G radios, hence, our 16GB WiFi test unit still showed it as unavailable. The performance improvements, however, are here. They're subtle, sure, but you won't find us kvetching about extra speed, regardless of how minor it is. Granted, we didn't have any real qualms with performance on the Tab 10.1 Limited Edition, but it's safe to say we've even fewer qualms here. Resizing widgets worked, and worked well, but it's mildly annoying that it only supports a smattering of 'em right now -- we're hoping to see more apps updated soon to take advantage, and when that happens, homepane tweakers will no doubt find these remarkably useful. It enables each pane to be full of useful, glanceable information, a sizable calendar prevents you from having to load the app each time. 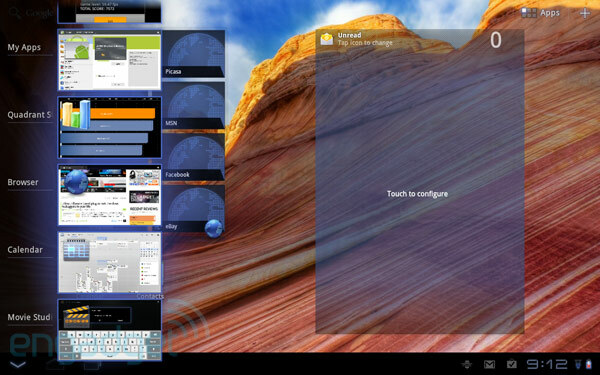 We'd also like to point out a huge, huge issue with using the Galaxy Tab 10.1 in conjunction with OS X. For whatever reason, Android File Transfer still hasn't been updated to support this slate, which means that you cannot (easily) use your Mac to transfer files onto your device. We have to wonder what Google was thinking when it fundamentally changed how Macs could interface with Android; our Nexus One (Android 2.3) simply pops up as an external drive on the desktop of a MacBook Pro, while Honeycomb devices require a dedicated piece of software that may or may not work. Blech. We're hoping Google updates AFT in the hours ahead; otherwise, you can expect the forums to come alive as Mac owners struggle to make contact with the $500+ slate they just bit on.